Hi Mari, Thanks for making the sale of my condo go so smooth, it’s been good working with you. I’m glad you were able to make this sale so fast, it was on the market a short time! Looking forward to seeing you again on my next visit in November. My wife and I were very lucky to find Mari Brenes and Amber Williams from Palm Real Estate. We were lifelong renters in the States, and were embarking on our first real estate purchase. Like many people, we weren't exactly sure what we were even looking for at first. Amber worked diligently with us while we were back home to help us narrow down our search to a handful of potential properties. When we came back to Coco, Amber had put together a schedule that allowed us to see all of the properties in two quick days. We had a wonderful time exploring Coco with Mari and Amber. They were knowledgeable about all of the properties, and even took us to their favorite beachfront restaurant for delicious ceviche. Ultimately, Amber found our dream home for us. She was a great advocate for us during the purchase process, and stayed on top of every detail. The entire team at Palm Real Estate was supportive and helpful throughout the process...they continue to be a valuable resource for us. My wife and I now live in Coco, and we get to see on a regular basis how much Mari and Amber help their clients. Amber and Mari have sold us seven properties - both commercial and residential - since we moved to Playas del Coco. There are no local agents that come close to their professionalism, ability to work well with others, and willingness to track down anything/everything needed to get a deal done. They are wonderful to work with and go above and beyond to show you the area both in terms of real estate and places to enjoy. It can be very scary to buy real estate in a foreign country and they have brought us unwavering peace of mind. As real estate investors, we have met with several agents in our time here and Palm Real Estate is without a doubt the most honest, effective, and knowledgeable group in the area. Moreover, Amber and Mari are great businesswomen and friends to countless in our community and we cannot have moved here nor succeeded without them! My husband and I want to thank you for being so diligent and so professional in helping us find the type of property we wanted. You are surrounded by a great team. We appreciate all the help we got from Eduardo, Lina and even Emilia, the cleaning lady who left our studio spotless after all the repairs that were done. In your contact with us you made us feel like if we were investing a million dollars. You treated us with so much respect and you replied to all our emails and all our questions. It was a joy to work with you and I'm glad we met you that day in a local restaurant. We appreciated your honesty when you told us about the legal problems in the first property we wanted to buy. If we ever decide to sell or to buy again we will choose you. Lina is a lovely person and a great part of this team. North Americans are used to timeliness which is not necessarily common in Costa Rica. Lina understands this and is timely with responses and a very hard worker. My offer was just accepted so have not finished the process but have the faith that things will go well in Lina's hands. Thanks Mari for all your help and kindness over the past 6 years. Its been quite a journey...up and down....I have always trusted and depended on you. Without you and Karla we would have been lost..
Merry Christmas and Happy New Year to you and JP....may the future be bright and filled with happiness for you both. I want to thank you for working with me to purchase a property in Costa Rica. I found you to be very knowledgeable and professional in your real estate business, and I look forward to purchasing several more properties from you in the coming years. I'll stop by to say hi next time I am in town, say thanks also to Lina for her help! Feel free to use my name as a reference if you have anyone who has any questions. They can contact me directly if needed. When we decided with my husband to find a place in Del Coco for the permanent living, our friend recommended Palm Real Estate We didn't have experience in real estate world, but we can tell from our hearts: this team is the best!!! Mari and Amber are highly professional, kind, helpful in all aspects not even related to real estate tasks. Amber was always available, day and night, she made our life so much easier with her compassion, great advises, she is a sweet heart. In two days ladies showed us almost 20 properties, time we spent with them was so family-warm that on a third day we were able to find our great place that we call home now. Thank you Ladies for your great help; we couldn't dream about the better team. We hope to have long friendship with you both for the rest of our life. We want to thank Palm Real Estate for making our dream of owning a home in Costa Rica come true! Mari Brenes and Amber Williams are superb real estate agents. Amber ultimately helped us through the process of buying our home and went above and beyond the usual real estate agent role. She was available and willing to help with any problem we encountered and understood the complexities of buying property in Costa Rica which went off without a hitch! Almost immediately after contacting Palm Real Estate with our list of "must-haves", Amber and Mari came up with a list of homes for us to look at. Within a day, we had found the perfect home for us; it was almost as if they could read our minds! Not only were we pleased with their professionalism, insight, and diligence, we now consider them friends and look forward to many years association with them. We highly recommend Palm Real Estate! Mauricio was an excellent real estate agent. He knows the area very well and he responds very fast to questions, and both of those things are very important to me. Also, near the end of our transaction, the seller asked us to pay part of the condo association dues for July after we had already negotiated and signed the contract. It was not alot of money, but the seller also had never responded to our concern that Clermont's inspection showed the dryer does not work properly. Mauricio became angry that we were not being treated fairly and he called the seller's agent and was very tough with him. We really appreciate Mauricio and Palm Real Estate. We can't thank the entire team at Palm Realty enough for their hard work, diligence and support in helping us find the right home for rental income and eventual retirement. We had looked at 40 homes along the entire Pacific Coast over the past year and Mari, Amber and Mike helped us find the one to suit us the best. Amber was incredible in her daily communication, thoroughness and professionalism in making our dream a reality. We thank you all for a job well done and will definitely continue to recommend Palm Realty as THE BEST realty in Costa Rica!!! Compramos un Condominio en Flamenco Rosa, que ha sido una bendición para nuestra familia, constituyéndose en una forma de vacacionar con mayor frecuencia en familia. Queremos agradecer a Mari Brenes, por su apoyo constante y seguridad que nos brindó en esta compra, ella constestaba todas nuestras preguntas y nos brindó la asesoría que necesitamos. De nuevo mil gracias!!!! I want to thank you for helping us find the perfect house in Costa Rica. Being a Real Estate Agent myself, I quickly recognized that you have in - depth knowledge of the properties and the transaction process for foreigners. 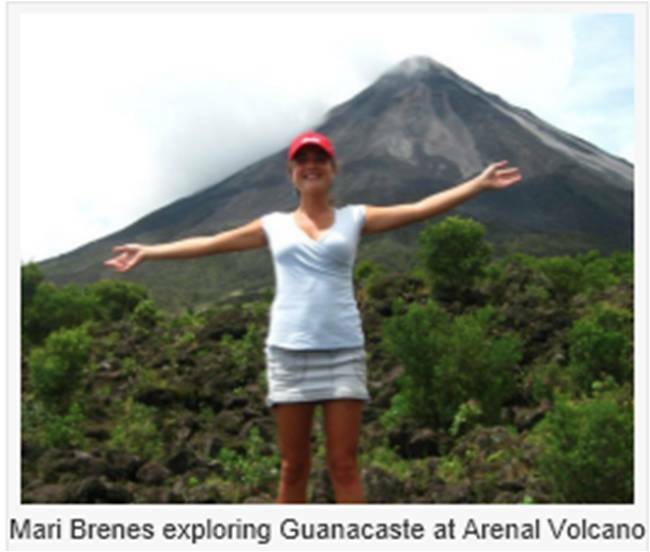 We purchased property with Mari Brenes as our agent in Guanacaste. We can’t express our gratitude enough as she kindly and professionally found answers to all our questions and guided us through every step of the process in the purchase. 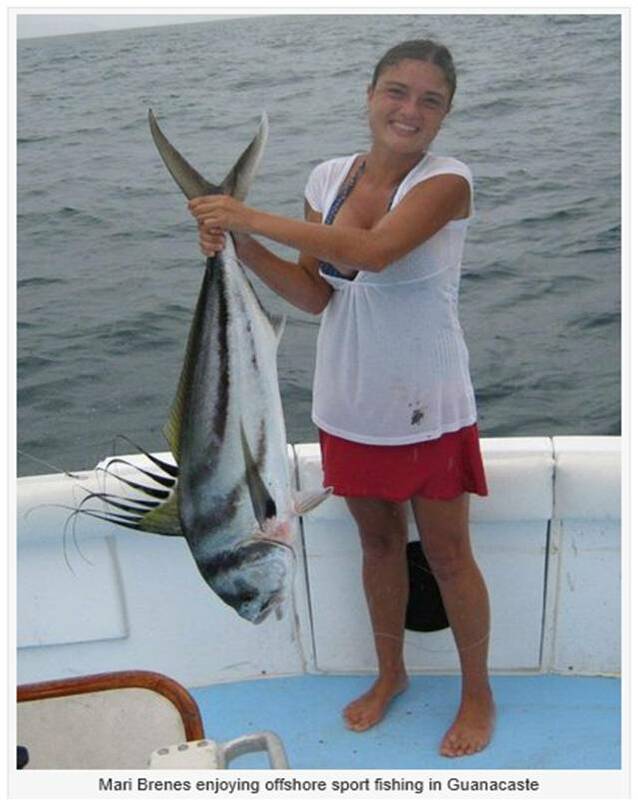 She is diligent, honest and sincere and really cares about her clients interests and needs. We continue to communicate with her as we have found a friend in what usually is a professional relationship. We would not hesitate to send anyone her way if they are desiring to move to Costa Rica. I am sorry that i am delinquent in thanking you! I very much appreciated the fact that i was lucky in finding you to find me a Gem of a house in Costa Rica. I personally want to take this opportunity,not only to thank you, but to commend you for the superlative task in finding me the property in Playa del Coco. It was your persistence, and knowledge of the area,that we were successful in our venture. The one thing that i most admire about you,is your patience :) You were extremely patient as i kept rejecting the numerous properties you showed me, and kept your positive attitude, and conducted yourself with utmost integrity. The fact that i put you through so much,was not your fault! I work from my gut and sixth sense, and i was not really very clear with you as to my needs,but after a while ,your sensitivity told you what i needed. So when you showed me the property, BAM!!! Besides being charming and beautiful, your integrity and professionalism is admirable. I am definitely recommending my friends and family to you, so please take good care of them as you have with me. I am truly enjoying my new home,thank you very much. Mari helped us purchase our dream property. Mari was very patient with us and always presented herself in a professional manner. Even after she sold us a property, she has been there for us. when you want to come by and look at the hotel, he is going to put you and your friends in the Party Suite. I was referred to Mari Brenes by another realtor. I can tell you I was not disappointed. I was looking to purchase a condo in Coco Beach and Mari certainly worked hard in assisting me with this purchase. She provided me with excellent service and helped me get the best buy with the budget I had to work with. As well she provided attorney recommendations and helped me through the entire process. After the sale I must also commend Mari and her colleague for assisting me with contacting local contractors for a couple upgrades that I wanted to do to the condo. Mari’s team at Palm real estate is top notch and I would certainly recommend them. I have dealt with several real estate agents in Canada over the years and I can honestly say the best realtor to date I have dealt with is Mari Brenes at Palm Real Estate in Costa Rica. "What can I say about Palm Real Estate.... The nicest, most helpful and honest people I have had the pleasure of doing business with in a long time. They made what can be a stressful event (buying a home), into the real pleasure and joy that it should be..... they have remained friends long after the papers were signed, and are always there to help with anything we need"
I had two properties for sale in Coco for almost 2 years listed with several real estate agencies but was unable to sell them. It was then very fortunate that I met Mari Benes of Palm Real Estate in El Coco. The Palm Real Estate team took a very proactive and thorough approach to the marketing and showing of my townhouses and within 6 months we were able to get an offer which I would accept and I was able to sell both of them a short time later, with the closing process taking one day. In the future I will only use Palm Real Estate for selling or purchasing real estate in the Guanacaste region. I have both purchased and sold property with Mari at Palm Real Estate. Mari has an array of world class properties to choose from at the best prices, and when it comes to selling, once she agrees to a price Mari will execute promptly through her extensive network of professional contacts. Aside from that she is the sweetest and most beautiful woman in the business. In my book Mari is a saint. "I have owned vacation properties in Ocotal for six years and have used several different property managers and realtors during that time. It has been my good fortune to work with Mari Brenes and her team at Palm Real Estate for the past two years. My properties are well-cared for and are rented on regular basis. Mari is extremely professional and diligent. She knows the market better, and works harder, than anyone I know. Mari makes buying, selling and owning property in Costa Rica a pleasurable experience. If you are looking for someone to manage or sell your property, or if you are considering a purchase in Guanacaste, Mari Brenes is a great choice". "I am Jim Ross. 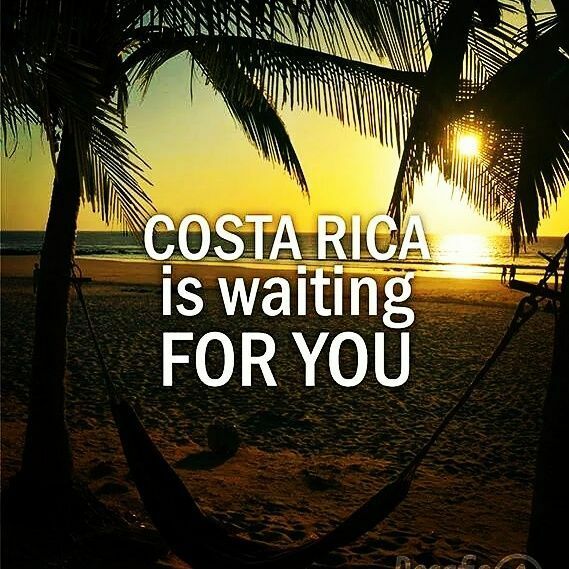 I had been planning to retire in Costa Rica and had been looking around the country for the right place finally deciding on the Playa Del Coco area. I started to look at real estate on the internet, contacting real estate agents, putting in offers and winding up empty. I contacted Palm Real Estate and met Miss Mari Brenes. She was a very nice lady who bent over backwards to help. Finally through her efforts I found a place I could afford but needed help on the buying process. I work in Afghanistan so conducting business is hard form here. She set me up with the legal people who were very nice to deal with as well, and conducted a lot of the transactions needed. I also wanted a motorcycle to get around on, and she and her father who is a real class fellow helped me out with that as well. In my view, you could not team up with a better real estate agent who will help you in any way she can. Thanks for all you do". Hi Mari! Thank you for your heip! Your Palm Real Estate - the best in Coco. Your are faster and really buscar houses. You are good business partner. All my russian friends think so. Some of them already addressed to you under my recommendation. In absentia it is glad to acquaintance. Apparently you the good person. Can doesn't worry - To your house - we will concern as the own. Sorry for my English. Mari Brenes was our real estate agent when Jim and I bought our condo. She was very pleasant to work with and showed us just what we wanted to see. Now that we have our condo, Mari and Jose have provided exceptional service in taking care of the condo when we are not here, and, when we are in Costa Rica, in finding us people to do the work as we made small improvements and providing information on rental cars, etc. The entire looking and buying process was pleasurable and professional, and went very smoothly. We highly recommend Palm Real Estate. This year our family decided that it was time to buy the beach house we always dreamed of and, thanks to Mari Brenes and the staff of Palm Real Estate, our dream came true. They looked for options which fitted our budget but also complied with our wish-list and, in a couple of days, they found what we were looking for: a home near the ocean. We thank Palm Real Estate for their help and, without a question, we recommend their services! I have rented with Palm Real Estate many times. I have used them for both short term rentals and long term rentals. Every time I have worked with them they have been GREAT!!! I currently have a long term rental in Playa Ocotal and Mari has taken very good care of me. She is a pleasure to work with. Everyone at Palm Real Estate has been very helpful and professional. They are quick to respond to any questions or concerns. They are very nice people and very easy to work with. I would definitely recommend Palm Real Estate for any of your real estate or rental needs. I really appreciate your professional services and honesty and patient. You really tried to find everything I need, even when I met some difficulty with my choice, you always help me to find the right solution. We have been long-term rental clients of Palm Real Estate. 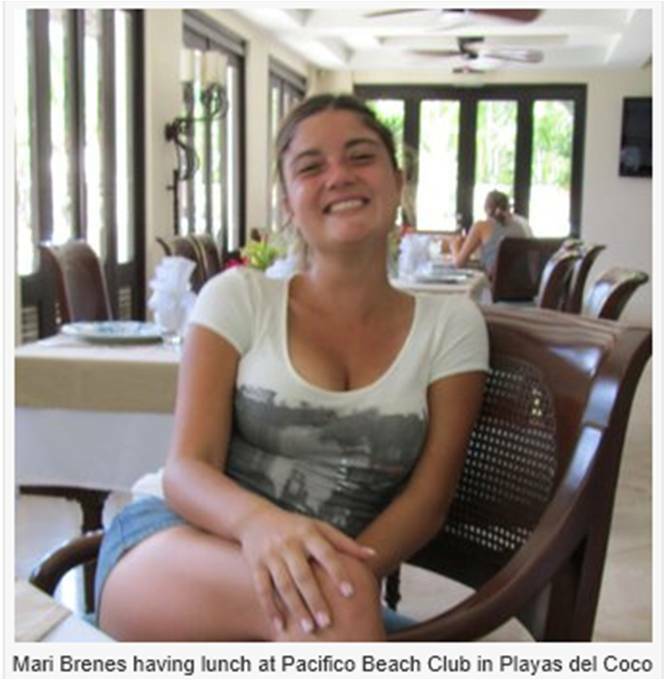 Mari Brenes was recommended by a friend here in Costa Rica. What a stroke of luck for us! We had specific requirements which Mari satisfied perfectly, including being a great value. We have spent 7 months living in a lovely setting, in an pleasant condo, probably the best one in the complex, among many delightful people, many long-term renters as well as condo owners from aboard as well as some Costa Ricans. Beyond that, however, Mari and Anabelle have been our mentors and guardian angels, helping us in a a myriad of ways to live here comfortably and as quickly as possible. In addition, and extremely important, is that any time there has been any issue with the apartment maintenance, Mari has had a very competent repair person here, literally, within a couple of hours to fix it! This is a level of attention to clients that is truly exemplary anywhere. We will be back next year. We would not dream of dealing with anyone except Palm Real Estate who will can count on to take care of us as if we were family! Hi Mari: As we show our friends what we purchased and how in-expensive it is there is a lot of interest. I am sure you will hear from them soon. PS: I am having great success renting out my unit for a week here and a week there. My first guests arrive at the end of April and I have a renter for July too! If anybody ever asks you for references I would be more than pleased to recommend you and your team. Karen and I cant thank you enough for all the assistance your office provided to make our dream of having a home there a reality. Thank you Mari Brenes and Palm Real Estate for making myfirst home purchase and stress free and simple process! Mari spent much time finding me exactly what I was looking for in my price range. A little bit worried about being in Canada for half of this process, she took care of everything for me very promptly and I would recommend her to anyone looking to purchase a home in Costa Rica. I will use her for any real estate needs in the future. Hace 20 años, me prometí que en alguna etapa de mi vida viviría en este maravilloso país que es Costa Rica. Y aquí estoy, cumpliendo mi sueño y disfrutando de él. a su profesionalidad, amabilidad y simpatía. Anabelle y Elisabeth, las conocí ya en Playas del Coco y tengo que decir de ellas, que son exactamente iguales que Mari Brenes, profesionales al máximo, muy amables, dispuestas a ayudar en todo. Un encanto de personas. Mi opinión es que las empresas son buenas o malas, dependiendo de la calidad humana de las personas que las dirigen. Y en este caso, el equipo humano y profesional de Palm Real State es de primera categoría. Mi consejo a quien lea este testimonio, es que confíen en Palm Real State al máximo. No se equivocará en ningún caso. Y para Mari, Anabelle solo tengo que deciros que muchas gracias por ser como sois y que os debo una…………………. Partners in South Florida, scooping up foreclosed and distressed properties by the thousands. homes and those seeking to start a new life; however, vulture funds have effectively disrupted these markets. For this reason and others, house hunters are now setting their sights on Costa Rica, specifically on housing markets such as Playas del Coco in Guanacaste. Seasoned real estate investors know that the housing market in Costa Rica is not uniform. This is a country where certain regions are bound to experience sudden growth and rapid development. We know that all property owners are real estate investors at heart, and this axiom is evident in Playas del Coco. Located on Costa Rica’s Gold Coast, Playas del Coco has been enjoying local tourism for many decades, and it has only been significantly discovered by foreign visitors and real estate investors in the 21st century. In fact, many home shoppers frustrated with the U.S. housing markets arrived in looking for “the next big thing” and decided that the three sister bays in the Pacific: Coco, Hermosa and Panama, were among the most promising in Guanacaste. -There is a commercial realestate boom in Playas del Coco with dozens of retail businesses waiting to open their doors. -The second Hard Rock Cafe in Costa Rica is being considered in Guanacaste for a 2014 opening. -A major marina project in Playas del Coco is undergoing development. -An ambitious arts center is in the planning stages. -Trendy fashion designers are moving to the area. -Major theme parks are being developed across Guanacaste. most house hunters are choosing to move into a long-term real estate situation so that they can take their time exploring the region and weighing their property acquisition options. It is certainly pleasant to consider a real estate investment while living in an oceanfront rental with sweeping views of the Pacific Ocean in Costa Rica. Through her Palm Real Estate office in Playas del Coco, Mari Brenes has helped many foreign home buyers and individual real estate investors realize their dream of ownership in Costa Rica. Over the years, she has also built a substantial network of property owners who are already capitalizing on their investments with rental income. Palm Real Estate has seen many seasonal renters eventually become property owners because they carefully study the housing market during each visit to Guanacaste. Guanacaste this season, consider speaking with Mari Brenes at Palm Real Estate. SMILE......If you haven't seen this yet...enjoy!